As stocks trade near record highs, the CBOE volatility index ( ^VIX ) fell back into the low teens and closed at 13.91 on Wednesday after hitting a high of 36.20 the day after Christmas. The VIX, also known as the fear gauge, has been trading in a relatively low range since the beginning of 2019. If history is any indication, the market doesn’t like it when major U.S. corporations warn investors of weaker-than-anticipated earnings announcements. On January 2, Apple ( AAPL ) lowered its revenue outlook ahead of its fiscal first quarter earnings report . The Dow ( ^DJI ) plunged more than 650 points following the announcement . Third, following the Federal Reserve’s March interest-rate decision , Harvey doesn’t believe the Fed can get any more dovish than it is now. The central bank announced that it will not be raising short-term interest rates for the rest of 2019 and only projected one rate hike in 2020 and 2021. 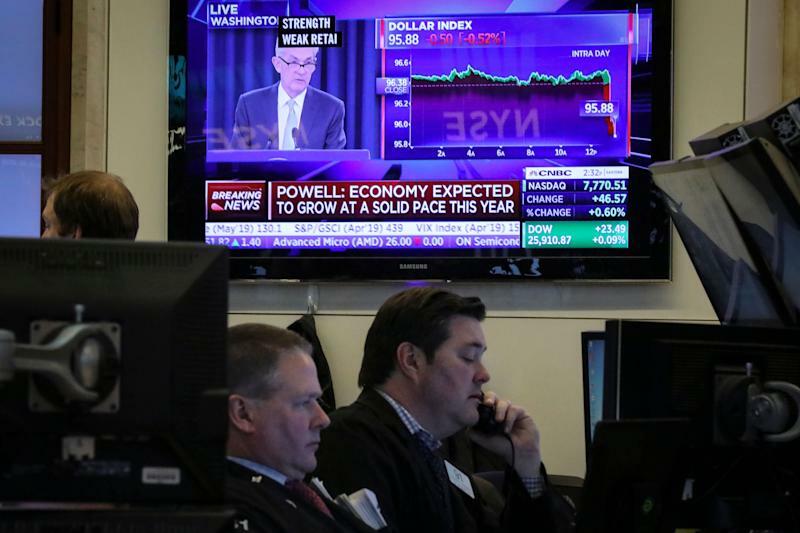 The market reacted extremely positively to the announcement and to Fed Chair Jerome Powell’s comments, and the Dow pared its early losses and turned positive before ultimately ending the session more than 140 points lower .